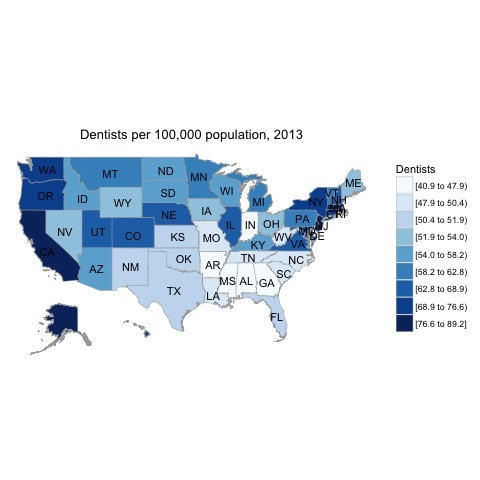 It is interesting to see where there are more dentists per 100,000 population. North and South Dakota have more than Texas. It would be interesting to know if there are some minimum numbers required in the typical business model and so the Dakotas benefit from the lower population as a result while an area like Texas has a significantly higher population but then does not have as many based on the standardization. Though, what explains California then?